Joint oral statement was made by the International Bar Association’s Geneve representative Ms Helene Santos. The International Bar Association’s Human Rights Institute and five co-sponsoring organisations thank the Special Rapporteur on the Independence of Judges and Lawyers for his report. We are concerned by the widespread human rights violations against lawyers in Turkey. In July 2016, Turkey declared a state of emergency which has since been extended seven times. Under these emergency measures, Turkey has suspended provisions of international and regional human rights treaties and codified more than 30 emergency decrees that permanently curtail fundamental rights and guarantees. These measures are being used not only to suppress dissenting voices but are also restricting and criminalising legal advocacy. Consequently, access to justice has been severely constrained and the rule of law eroded. Lawyers in Turkey are the target of widespread attacks, including arbitrary detention, harassment, threats, alleged torture and ill-treatment in detention, unjust prosecutions on overbroad charges, and trials by executive-controlled courts. 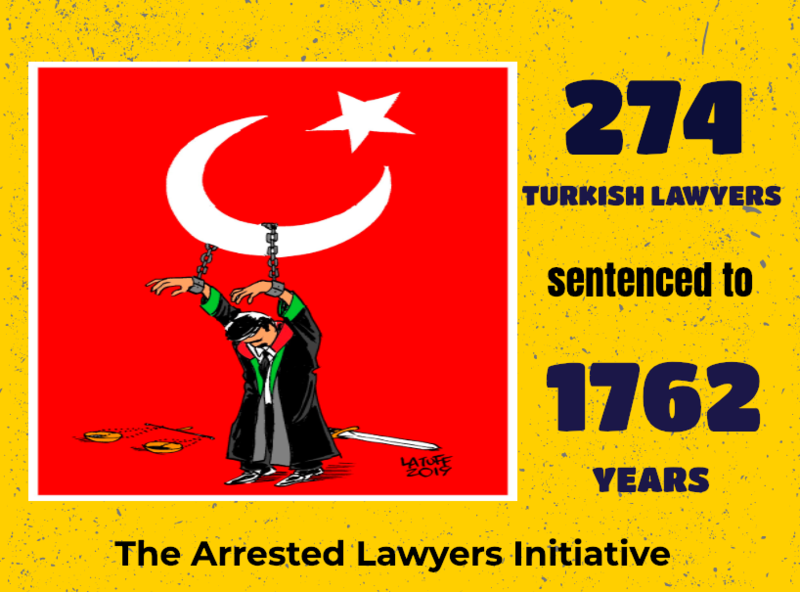 We received reports that 1542 lawyers have been arrested, 580 prosecuted and 138 sentenced. In addition, lawyers are unable to communicate confidentially with clients or provide representation without placing themselves in danger. In the absence of an independent legal profession, free to provide vigorous representation, rights in Turkey are being violated without remediation and with impunity. a. End repression and persecution of lawyers in Turkey. b. Release all lawyers under arbitrary detention. c. Provide all lawyers in Turkey with the protection and guarantees required to carry out their functions as provided for in the UN Basic Principles on the Role of Lawyers. d. Ensure that all attacks against lawyers are effectively investigated and perpetrators effectively prosecuted. Finally, we also note the ongoing ‘state-led campaign of intimidation and harassment’ against judges in Poland. The government took control of the body in charge of appointing and disciplining judges, and, after the entry into force of the Law on Supreme Court, on 3 July, 40% of Supreme Court judges will be forced to retire. We invite the Council to urge the Government of Poland to end the oppression of the judiciary. This statement was delivered by: The International Bar Association’s Human Rights Institute, Helene Santos.